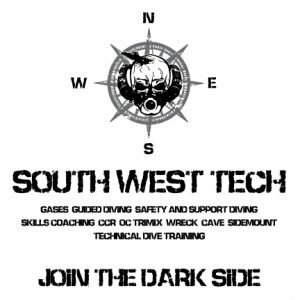 South West Tech is a TDI dive centre owned and run by two CFT members from Daunt sub aqua. It is Ireland’s only Apeks techncial centre, supplying, configuring and servicing all Apeks equipment. We are also dealers for X-Deep, Light for Me, Su ex, Blue Orb, Nautilus, and more. We only supply equipment we have extensively dived ourselves and our prices include advice, set-up, fitting to your needs and adjusting as needed. We can also train you on every bit if gear from scooters through to the JJ-CCR rebreather. Training in CCR, overhead and open circuit with specialisms in Sidemount, Technical DPV and wreck penetration are all available. We train and run trips all over the world including in 2017 Mexico, Florida, Croatia, Malta, Egypt, Lanzarote and of course here in Ireland. Check us out on facebook https://m.facebook.com/Southwestech/, on the web https://swt.ie and give us a call on (021) 471 4992 to chat through your diving plans. We look forward to seeing you all at the show. Dive Ireland are thrilled to announce the inclusion of O’Three among the Trade Stands at next February’s show. There is also a chance to win a Drysuit at the Dive Show! See below for details. From their website: At O’Three, we’re extremely proud of our products and their quality. The immense popularity of our products is testament to both their excellence and our qualities as a leading UKmanufacturer. Neoprene innovation is what we do. OThree is nationally renowned manufacturer of drysuits, wetsuits and other excellent diving accessories. We put neoprene innovation right at the top of our list of priorities and pride ourselves on our attention to detail,product knowledge and passion! Scubadive West , idyllically located in the shelter of Killary fjord with a private cove, perfect for training and for shore dives, Scubadive West is truly Ireland´s all weather Dive Centre and is open all year round. 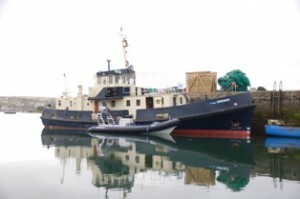 As well as RIB dives to inshore sites the hard hull Island Dive Safari is a unique and popular product; Saturday night Dinner, B&B on either Inishbofin, Inishturk or Clare Island and four dives around the islands, Saturday & Sunday. Agents for O’Three, Scubapro, Suunto, Bare, Oceanic, Mares. Ireland’s only Fourth Element Test Centre. Ireland’s only Sealife Underwater Camera Test Centre.aturday night Dinner, B&B on either Inisboffin, Inis Turk or Clare Island and four dives around the islands, Saturday,/Sunday on the “Brazen Hussy”, Ireland´s finest dive boat. Agents for O´Three, Scubapro, Suunto, Bare, Oceanic, Mares, and Ireland´s only Fourth Element Test Centre, Scubadive West also offer full repair and service for regulators, dry and wet suits and IDEST cylinder testing. * Contact Breffni or Cillian for Special CFT Club rates. 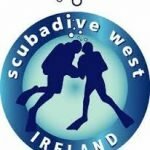 Dive Ireland will be welcoming Scubapro back to the event of the year for all things diving. 52 years in business now, they must be doing something right. Today, SCUBAPRO remains a premier manufacturer of scuba diving equipment and employs over 400 people in 17 locations spread over 13 countries, covering 4 continents. At least 1 in every 2 employees is a diver and in several countries over 80% are divers, and over a third are instructors. 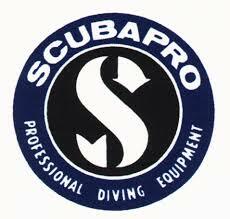 SCUBAPRO is a Johnson Outdoors Inc. company. Make sure to call over to Declan Burke at the show guys. A gentleman and a scholar with state of the art products that you dont want to miss!!! Aquaholics is a 5* PADI Dive centre on the North Coast of Ireland. They operate all year round, seven days a week. Aquaholics can help you arrange everything from dive dates, equipment rental and accomodation. 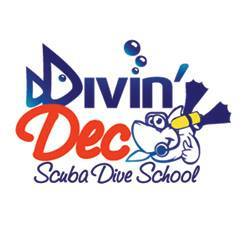 PADI Diving Courses – We provide fully accredited PADI diving courses in Northern Ireland. Whether you want to try scuba diving, become a PADI Master Scuba Diver or Go Pro, let our PADI instructors guide you to your goal. Dive Shop – Aquaholics Dive Shop is based in Portstewart Northern Ireland stocks a full range of regulators, bcd’s, fins, masks, snorkels, wetsuits, drysuits, cylinders and all major brands, Apeks, Beaver, Bowstone, Fourth Element, Go Pro, Halcyon, Oceanic, Scubapro, Sea & Sea, Suunto and Typhoon. Sea Safaris – Aquaholics boat trips run from Portstewart and Ballycastle and cover the whole of the North Coast, the Giant’s Causeway, Rathlin Island, Malin Head and the Scottish Isles. Boat charter and scheduled trips available. Explore Northern Ireland’ s coastline from the sea. Scubapro have been established for over 50 years and pride themselves on their innovative, premium product range. The line of professional diving equipment has seen a number of unique diving firsts over the years, with the invention of ‘pneumatically balanced second stages’, balanced piston first stages’ and the ‘stabilising jacket’, to name but a few. Look who’s coming to Dive Ireland International ! Lambay Diving Services is well known, and highly regarded, throughout the industry for the high standard of servicing and repair work we offer. Our reputation has been established over many years. We strive to maintain and improve our levels of service. All work is carried out in-house in our fully equipped workshops and is completed to industry standards. Our technicians are qualified through IDEST/SITA and ASSET trained. We are delighted to have OceanAddicts attending Dive Ireland 2016. OceanAddicts is the only Dive Centre in Southern Ireland offering Liveaboard and Day Boat diving, Snorkeling trips and sea thrills. Based in Kinsale Co. Cork, the starting point of the Wild Atlantic Way, on Ireland’s South Coast. Oceanaddicts is owned and operated by Graham and Anne Ferguson. A husband and wife team Graham and Anne are active divers and members of the National Sub Aqua Club. Both Graham and Anne are CMAS Moniteur ** dive instructors. 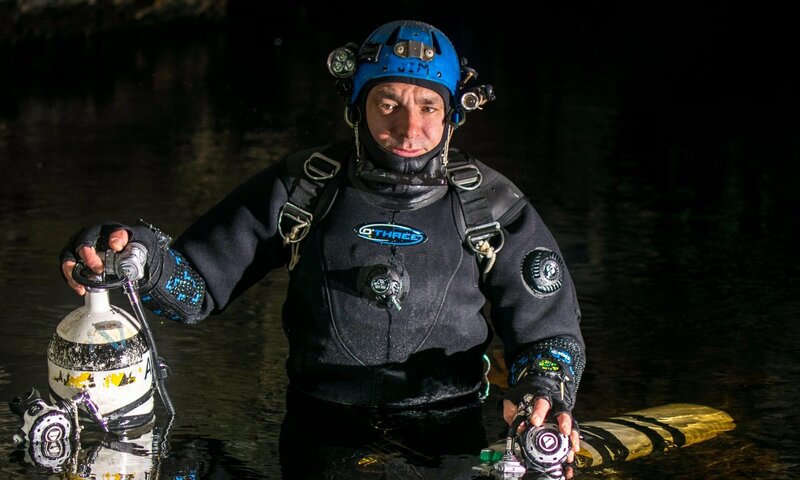 They have been diving in Ireland and abroad for over 18 years. They love the scuba diving in Ireland especially off the South and South West coast because of the unique marine eco system created by the Gulf Stream. Feb 28th and Mar 1st 2015. 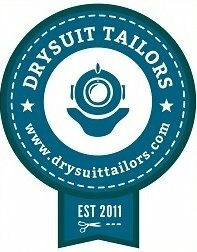 From their website: Drysuit Tailors is run by Brian and Ruth Breathnach. neoprene and membrane suits and we offer a full list of services to keep your suit in top condition.